Starting in 2019, Starbucks will begin blocking adult content on its stores' Wi-Fi following increased public pressure from an internet-safety group. While viewing adult content on the company's wireless network has always violated its policy, now the coffee giant has a way to stop it all together. Starbucks' announcement comes after a recent petition from internet-safety advocacy group Enough is Enough earned 26,000 signatures. Back in 2014, the group launched an adult content-free campaign geared at McDonald's and Starbucks. While McDonald's responded to the campaign proactively, Starbucks did not which is why Enough is Enough decided to put additional pressure on the coffee chain to do something about the issue. "Starbucks has had a tremendous opportunity to put its best foot forward in protecting its customers from images deemed obscene and illegal under the law, but they haven't budged, despite their promise two years ago and despite the fact that they voluntarily filter this same content in the UK. Having unfiltered hotspots also allows children and teens to easily bypass filters and other parental control tools set up by their parents on their smart phones, tablets and laptops." While filtering adult content may sound like a good idea on paper, there are certainly some issues with the system. For instance, those that do wish to access illegal or adult content will likely be able to find a way around the filters and will spread this information to others online. Also legitimate content could end up being filtered unintentionally which could upset customers used to browsing the web openly. At the same time, public Wi-Fi poses a danger to everyone using it no matter what content they're searching for. Without the right security tools in place such as a VPN, malicious third parties on the same network could try to steal your login credentials and even other sensitive information stored on your laptop or smartphone. 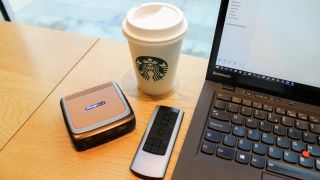 As a general rule of thumb when it comes to free public Wi-Fi, you get what you pay for (or don't pay for in this case) and we strongly advise against using it unless absolutely necessary even with the right security tools in place.